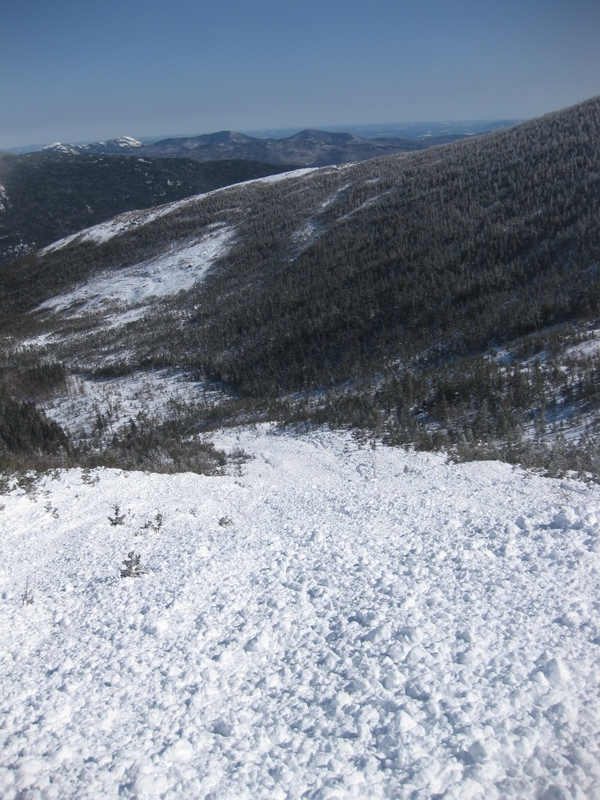 Summary: One skier caught, carried, not injured. 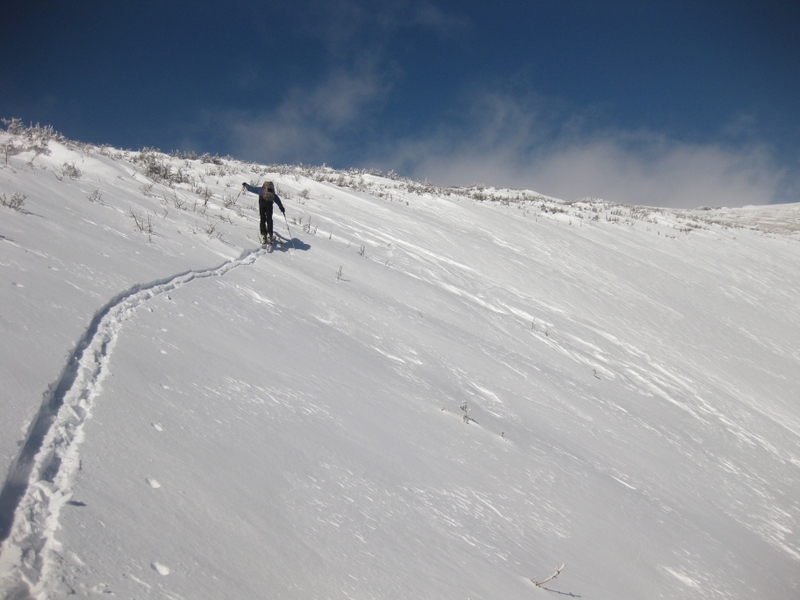 Andy (age 39) has been backcountry skiing for one year, has EMT training, and has taken a level 1 Avalanche Course. 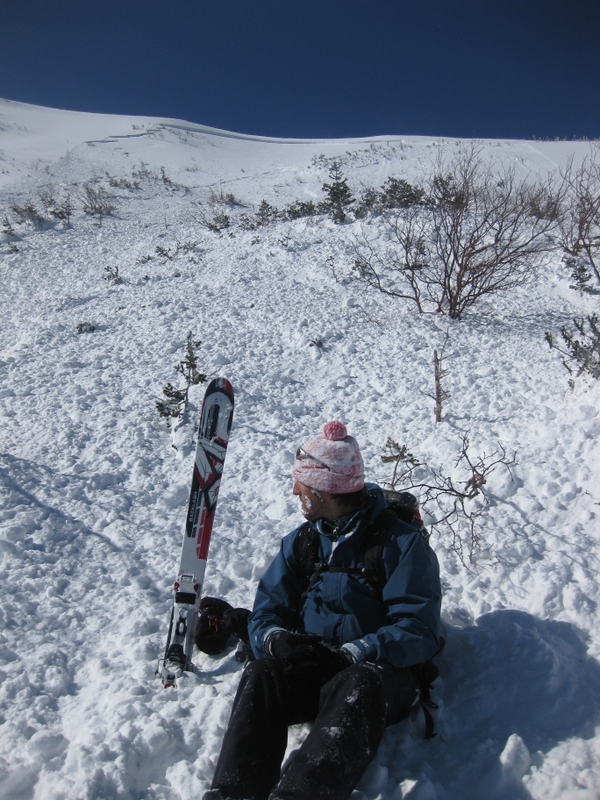 Rog (age 38) has “close to 20 years BC experience and hundreds and hundreds of up high days east and west, 30-50+ days a season for the past 2 decades, 30 so far this season, mostly higher danger days” and has not taken an avalanche course. 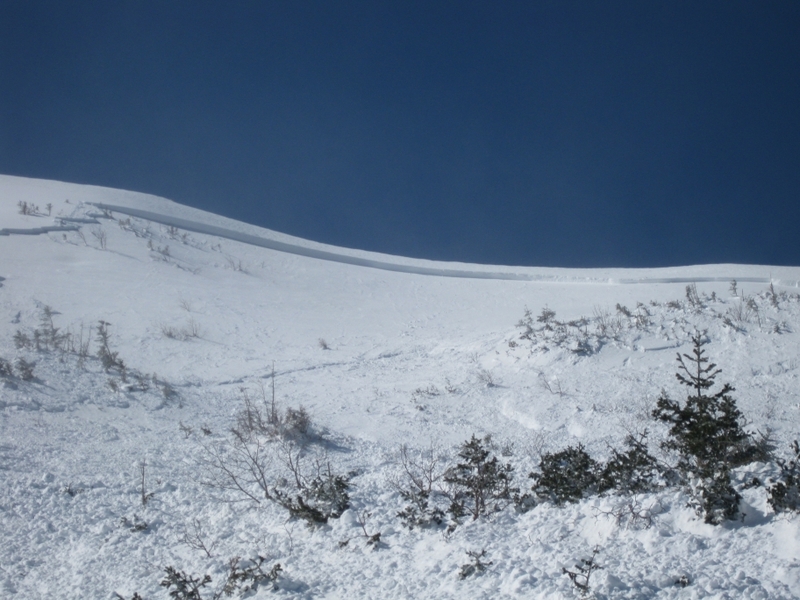 After obtaining the avalanche bulletin for the day they decided to ski into the Gulf of Slides. 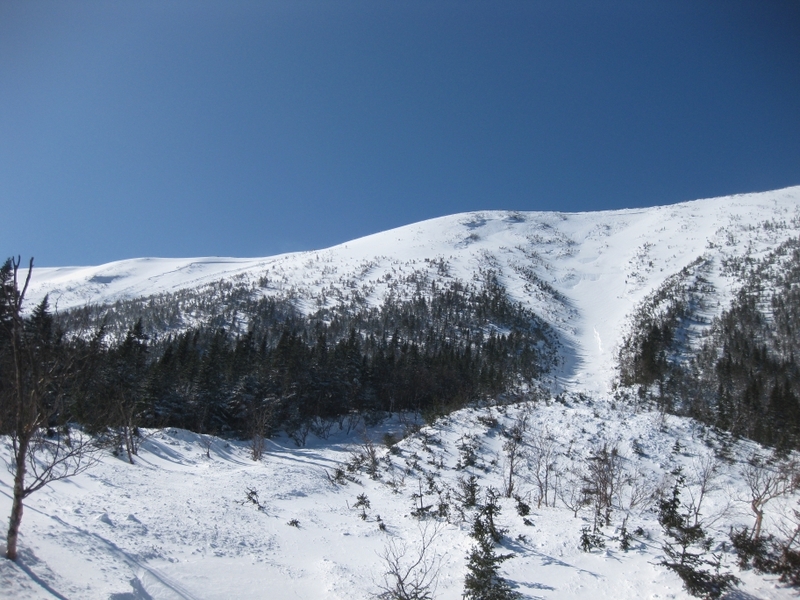 They gained the ridge near Slide Peak by skinning through treed areas. The first line they skied one-at-a-time and reported “consolidated snow and no ‘whumping’ noticed”. Andy: “Rog dropped in, first turns looked good – similar to our previous run. Then he headed left to a ridge knob. As he was stopping, I saw the snow give way right around him. It looked pretty localized the first instant. I was about to yell “avalanche” when what appeared to be most of the hill started sliding from maybe 15 ft above him. Then nothing but a cloud of snow – no sound, nothing. Rog: “Number 1 had gone huge (naturally) in the previous 12 hours or so and had what appeared to be, new slab. 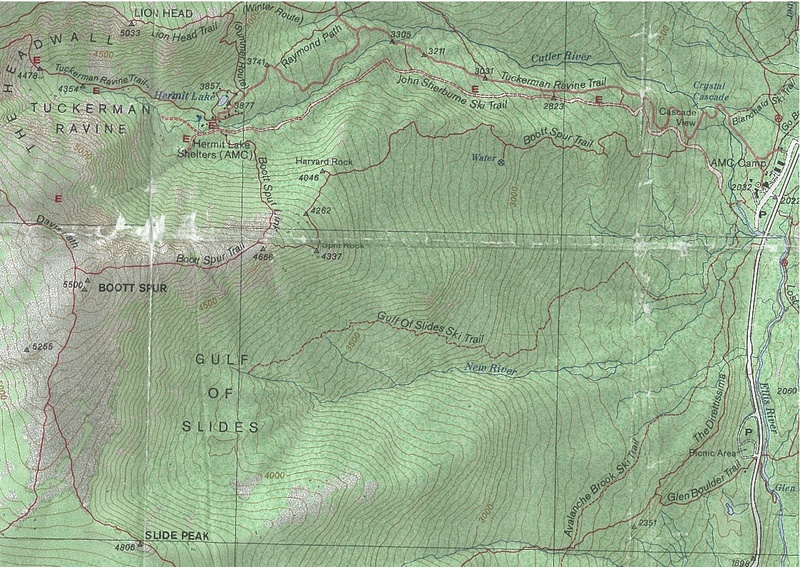 the crown line was very visible and is the reason we stayed away from it and all of the other gullies and sub gullies… the snowfields “generally” allow for more safe traveling opt. 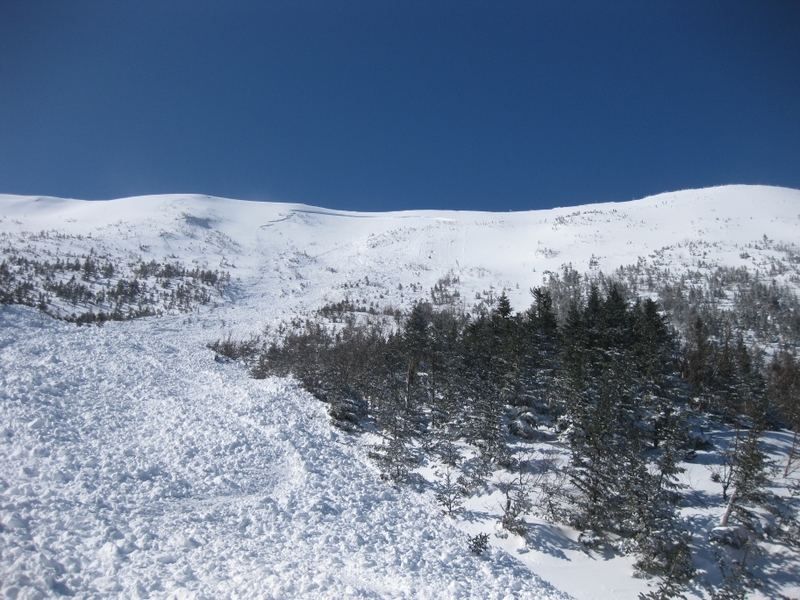 “It seems that the fracture line ranged between 1 and 3 feet deep and propagated about 400′ across the slope.” – next day’s Avalanche Bulletin. The start zone was estimated at 34 degrees and is east facing. The estimated size of the slide is D2, R3. Thanks for the report Dave. Not here to make judgement, but I did want to point out one inconsistency in the report. An early paragraph states that no signs of instability were observed, yet the last paragraph states recent natural activity was observed on very similar aspects. This contradiction might be overlooked by someone who doesnt know that recent natural activity on similar aspects is a large obvious sign of instablity. Thanks again, the report was well done and I am glad to see it written up like this. Mason, excellent point. The party did contradict themselves by reporting “no signs of instability” and the aforementioned recent natural activity on a similar slope. I left it in the report since I am mainly using this as a case study and that is one of the “red flag” clues they can usually pull out with out me claiming it is a fairly obvious sign of danger. Dave, I realized my comments were not warranted later in the day when I thought to myself exactly what you replied here. In my early morning grogginess and haste, I didnt see the big picture and that folks who read this should come to their own conclusions about the incident and that you were just relaying the facts and statements, in a case study format, from the party involved.